In partnership with Alexandra Cousteau’s Oceans 2050, ClimateWorks, and 3Degrees, GreenWave has brought together a team of scientists, industry leaders, and environmental NGOs to launch a Blue Carbon project designed to develop the world’s first kelp carbon credit protocol for certification by international carbon credit agencies. Considered the “sequoia of the sea”, the World Bank estimates that farming seaweed in less than 5% of US waters could absorb 135 million tons of carbon. As ocean farmers, we harvest more than just food - we harvest data. GreenWave’s technology team embeds sensors on farms around the country in order to measure ecosystem services, increase yields, and establish infrastructure for farmers to “harvest” data. Farmers are paid for the data they collect and for installing and monitoring sensors. We are also starting to team up with the open source technology company So Far to use underwater drones to monitor our crops. 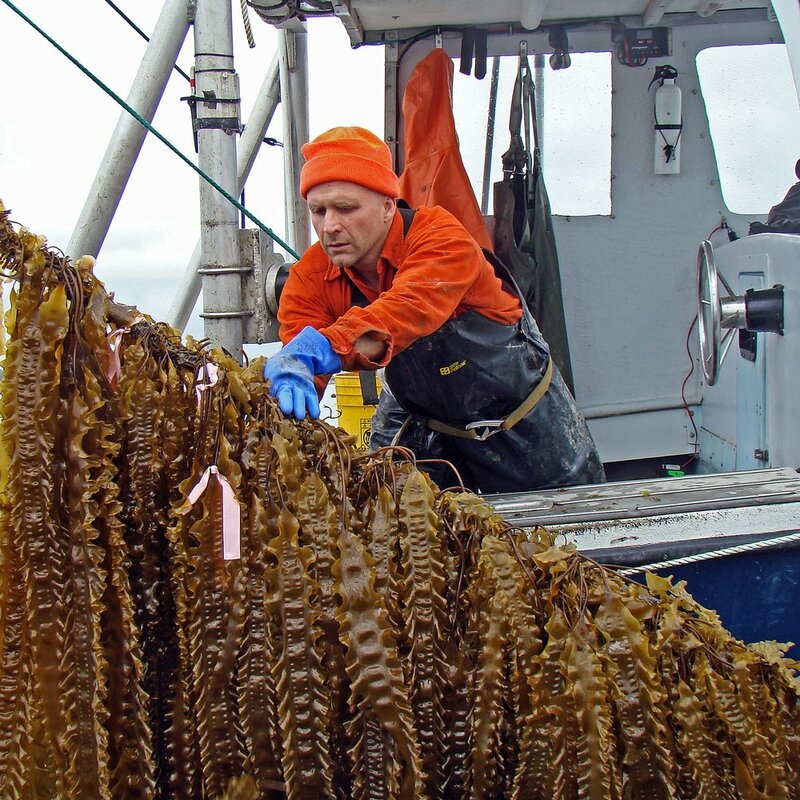 For hundreds of years, farmers have long used the nutrients and trace elements in kelp and other marine plants to enrich the soil and increase yields while simultaneously sequestering carbon and nitrogen. GreenWave is reviving and scaling this tradition by partnering with The Hope Program to build a worker-owned fertilizer plant in the South Bronx to provide seaweed fertilizers to New York City parks. Seaweeds are proving to be a powerful methane-reducing alternative in livestock feeds. Field trials have shown that adding 1% of seaweed to livestock diets decreased methane production by 58%. GreenWave has partnered with Elm Innovations to explore open ocean farming trials of red algae to provide a consistent and scaled source of feed for cattle ranchers in California. 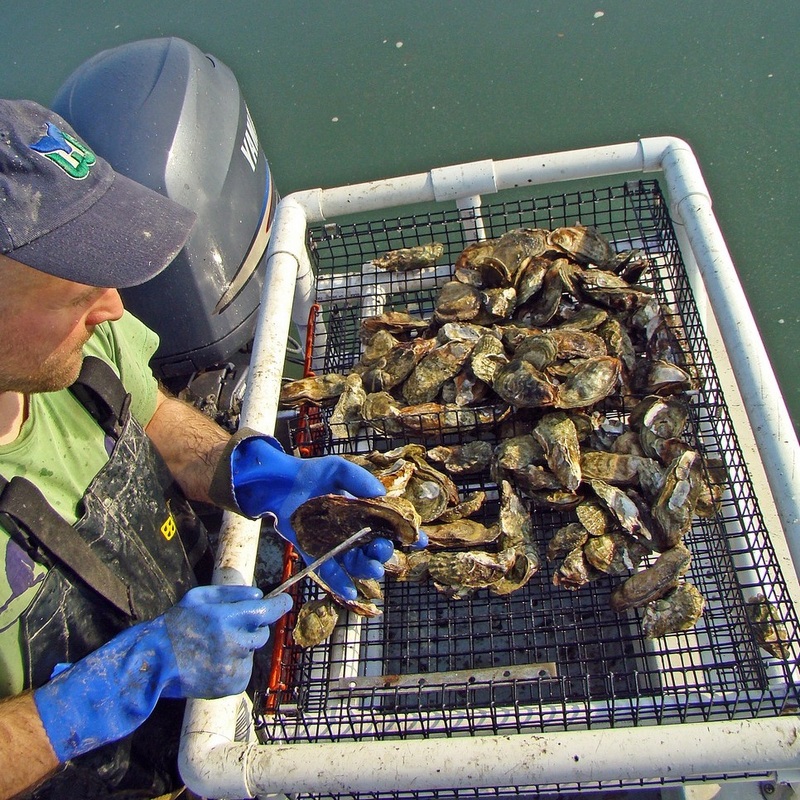 New ocean farmers are emerging from all walks of life: from landlubbers and experienced fishermen to veterans and young land-based farmers struggling to find farmland. Notably, women are leading every level of this new blue-green economy as farmers, scientists, hatchery technicians, policy experts, and entrepreneurs. GreenWave’s storytelling project, Who Farms Matters, is the chance to weave equity into the DNA of the new restorative ocean farming industry. The demand for seaweed is growing rapidly across all markets: food, fertilizer, animal feed, cosmetics, and other value-added products. By leveraging our robust network of buyers, GreenWave works to open up new sales channels for ocean farmers. So far, we’ve connected farmers with national processing companies, entrepreneurs making value-added products, corporate cafeterias and retail outlets. GreenWave also incubates early stage product development across multiple sectors to increase demand for farmers’ crops.